The Joint Committee of the Senate and House of Representatives Committees on the Independent National Electoral Commission (INEC) has resolved to determine how the electoral umpire will fund its budget. The Chairman of the Senate Committee on Electoral Matters, Suleiman Nazif, revealed this to reporters on Friday in Abuja. He made the disclosure after the Joint Committee met with the Chairman of INEC, Professor Mahmoud Yakubu, at the National Assembly complex. Senator Nazif said the Committee agreed to deliberate on the budget of the electoral umpire at a future date, after which it would be sent to the Appropriation Committees of both chambers. According to him, the committees are expected to scrutinise and decide the source of funding for INEC’s budget. The meeting, which was also attended by the Minister of Budget and National Planning, Senator Udo Udoma, held behind closed doors. The Joint Committee of the National Assembly had failed to reach a consensus on the budget of the Commission for the 2019 elections when they met on Thursday. 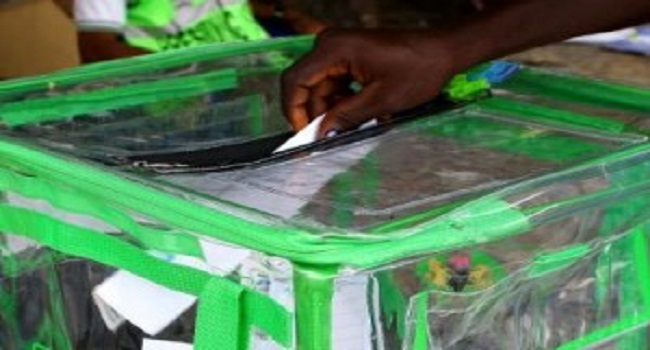 INEC is requesting for the lump sum of N189 billion to conduct the forthcoming general polls. The lawmakers, minister, and INEC Chairman met the same day the All Progressives Congress (APC) asked the National Assembly to reconvene immediately. In a statement, the party called on the legislature to urgently consider the crucial budget of the electoral umpire for the general elections. It claimed that some persons were hiding under the Electoral Act Amendment Bill which was awaiting the President’s assent, in order to draw attention away from the reconvening of the National Assembly. But the legislature had explained in an earlier statement that the meeting of the committee was part of the factors delaying the reconvening of the National Assembly.